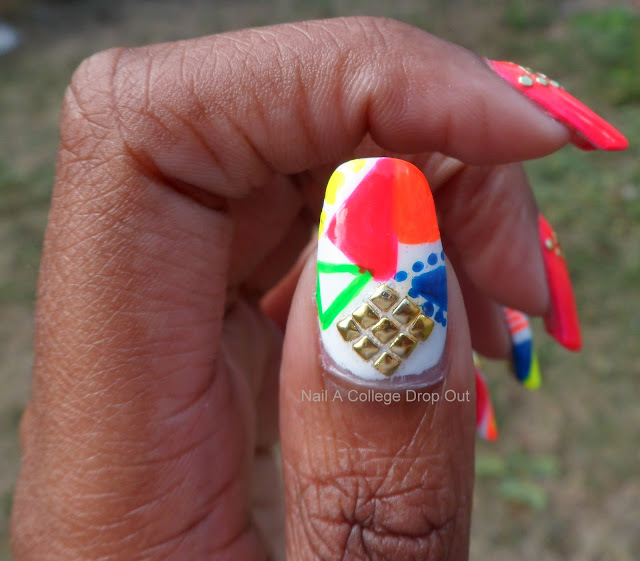 Nail A College Drop Out: Shapes, Studs, And Neons. Oh My! 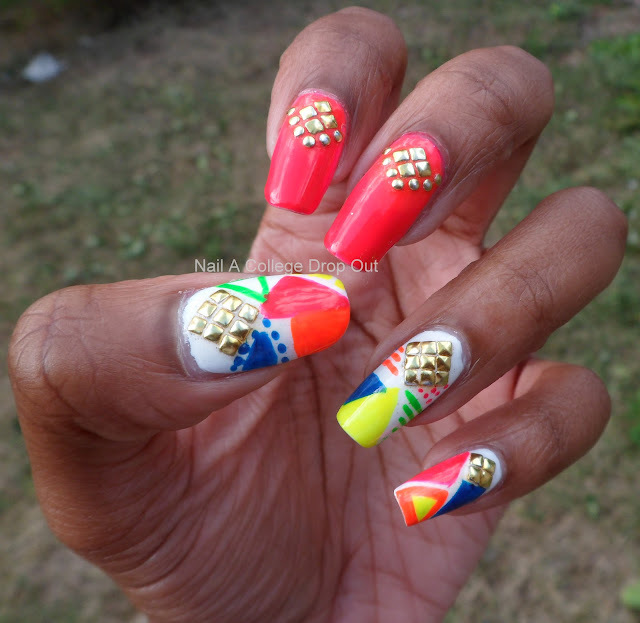 Shapes, Studs, And Neons. Oh My! If you follow me on Facebook or Twitter you saw this teaser pic yesterday. Told you I had something awesome in the works! So your inquisitive nature wants to know what lacquers I used to create this? Well here you go! 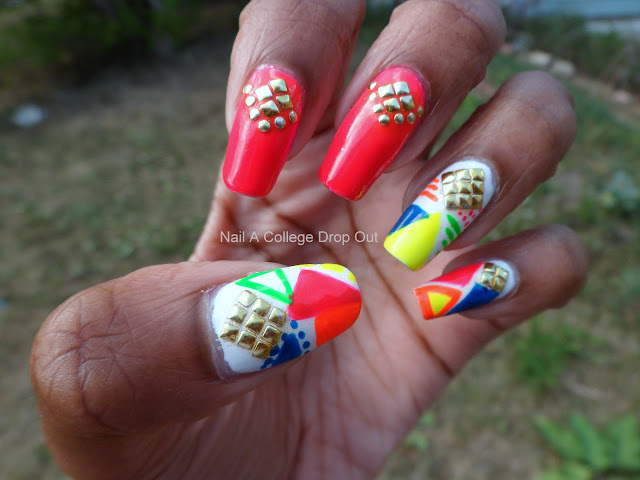 A little late 80s/early 90s, kinda tribal, and very neon! What do you think? This is awesome!! It reminds me of the 80s, I love it!! I had no idea you liked neon! LOL! This looks fantastic! Sashay My Way With That Neon Graident! Coming This Fall From Layla!